In case you're in my Snapchat list or in my Instagram's private account list, you might know how almost everyday I post new pictures, before and after I workout. Many people ask me if I worked at home or in the gym; well, I do it at home. And I do it so seriously! Thanks to this app; I wouldn't be able to do it without this! So this app is exclusively available in the Windows Store, which means you can not only download it on your Windows phones, but also on Windows 8 (and above) tablets, laptops, and PCs. 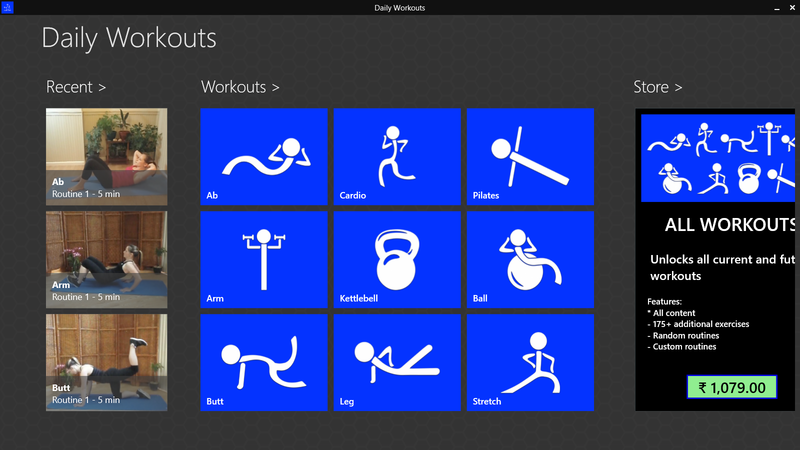 In Android, you have to download each type of exercises separately; e.g., Abs Workout, Arms Workout, etc. And yes, this app doesn't have heavy exercises, so it is for those who want to lose weight, tone their bodies, or keep themselves fit. This is how the screen looks like after opening the app. Then after the two-seconds buffering time is over, this is the main screen. These are the different types of exercises that this app provides you with. Let's get into the first type of exercise, which is Ab, for a better look in the app. 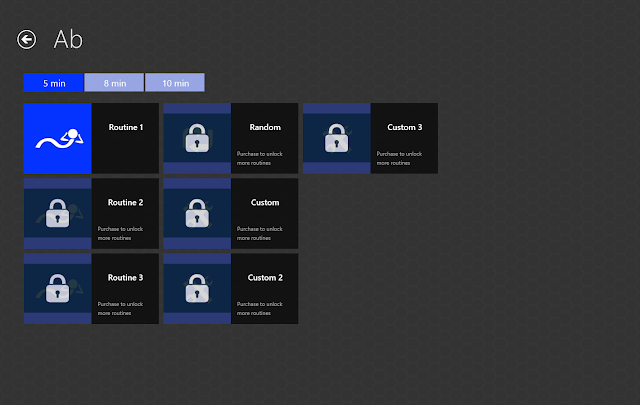 All the other routines are locked, as you can see; so if you want to unlock them, you need to purchase them! 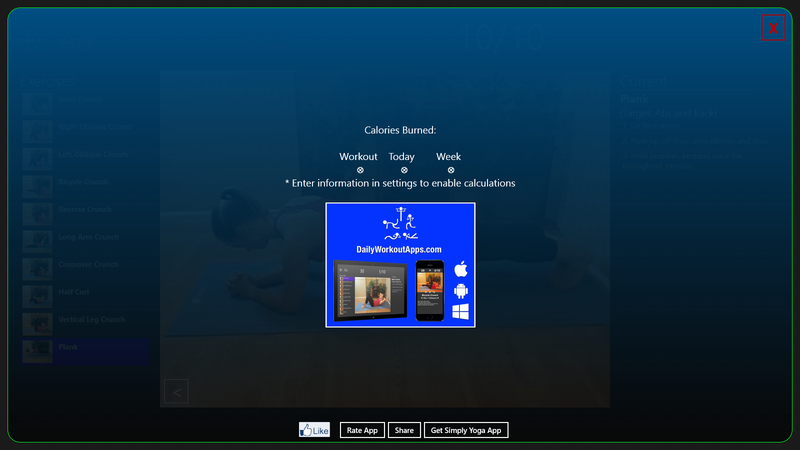 Now, you can select for how many minutes you want to work out, under each app. Here, I've selected 5 minutes. This is the screen after selecting the 5 min and Routine 1 options. As soon as you open, the countdown begins. Initially you get 3 seconds buffer time. As soon as the 3 seconds are over, the timer starts. Every exercise is for 30 seconds. The video gets played side by side. After every exercise, there's a break of 3 seconds. This continues till the end of all the exercises. If you want to know at which number you are, you can easily read it here. Also, if you wish to skip certain exercise, you can always click the arrow marks. Every exercise has details in the left side. They talk about the target organ(s), and how to do the exercise. These are the exercises under Ab. 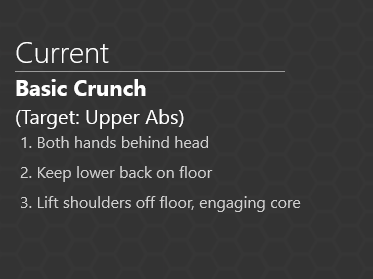 And finally, after you're done with all the exercises under one type, there's a loud applause, and this is how the screen looks like. 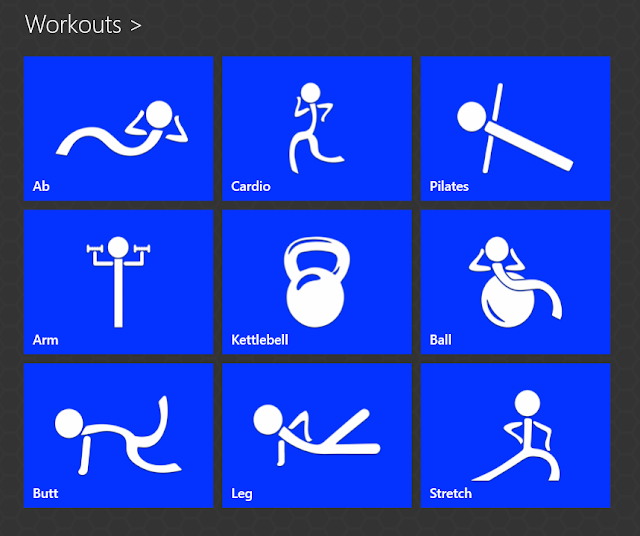 It feels so good to do all the exercises. 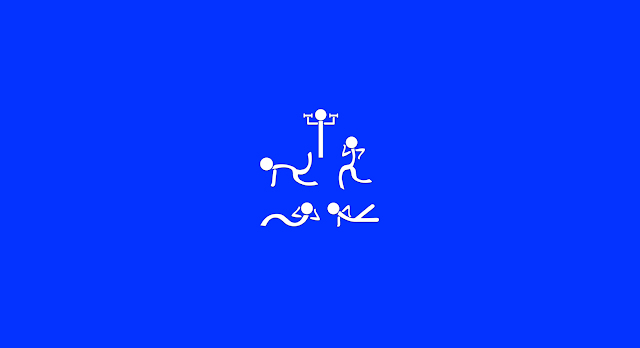 The best thing about this app is that a lady announces the names of the exercise, after every exercise. So if you're busy exercising, you will still know that the 30 seconds are over, and it's time to take the position for the next one.